Back to the 30-day blogging challenge that I'm doing in 30 weeks (approximately). Today's prompt is: "Your middle name and how you feel about it." This is kind of funny for me. I go, professionally by my middle name: "Evan." This is why I'm "S. Evan Townsend." I like my middle name better than my first name (which starts with "S," obviously). People who know me personally call me by my first name (one calls me "S.") and as a child I only heard my middle name when I was in trouble. My brother-in-law goes by his middle name personally and professionally. I didn't know for a long time that he had another name. It's not bad, I don't know why he doesn't like it. My wife, on the other hand, hates her middle name. I think it's cute, but she loathes it. She wasn't happy when I gave a character that name. I won't say what her middle name is, but it's an old Norse name. And the character is in Hammer of Thor. So, obviously, I like my middle name (better than my first name). Although I'm still getting used to people calling me "Evan." 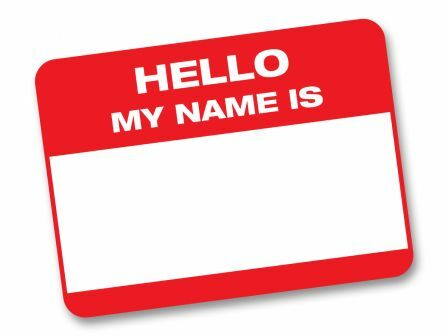 How do you feel about your middle name? Comment below.